Cleaning carpets or delicate fabrics are boring and also time taking tasks. Every time you wash with ordinary solutions, the fabrics losses its shine because of wrong application of chemicals. Before cleaning one must have proper understanding so that one can choose the right chemical for right fabrics. Now one doesn’t have to worry about gaining knowledge since one can increase it by hiring Magic London Carpet Cleaning in Ladbroke Grove (W10, W11). It is rug and upholstery cleaning company that has been in business for past several years. With the passing time it has always updated its techniques and methodology of cleaning and that make them successful and currently they are providing services to thousands of clients in West London. 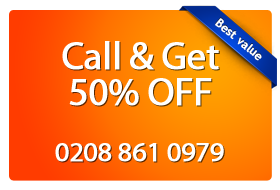 It has trained Ladbroke Grove (W10, W11) carpet cleaners with certificates from The our industry. That says they are quite understandable and eligible to judge the type of treatment required for the carpets or other fabrics.